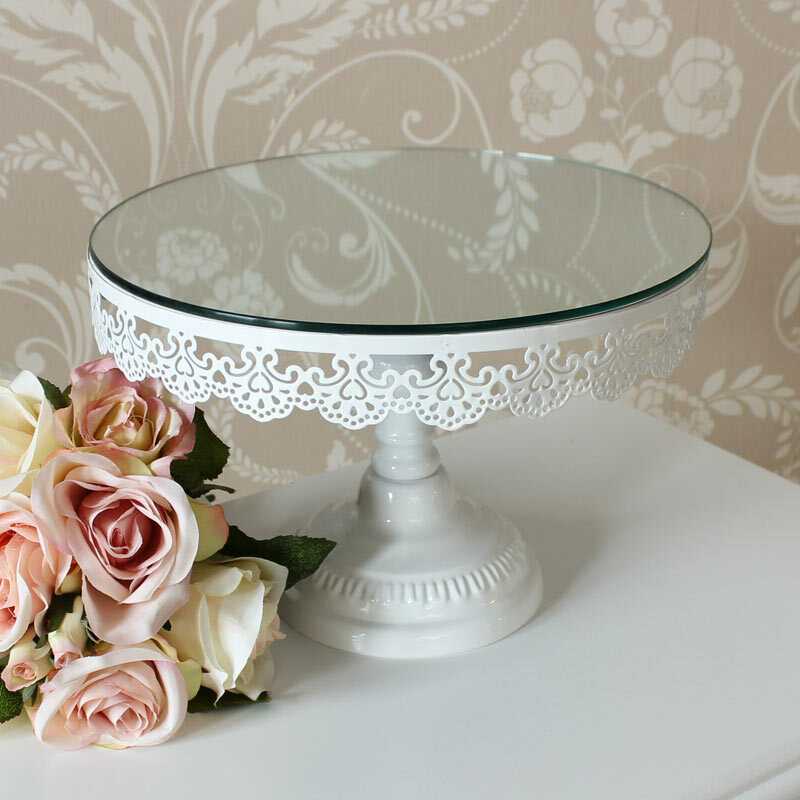 From the wedding celebrations, homeware and gift collections, this round mirrored Cake Stand is versatile enough to cover a multitude of uses - wedding tables, dining tables or at your afternoon tea. 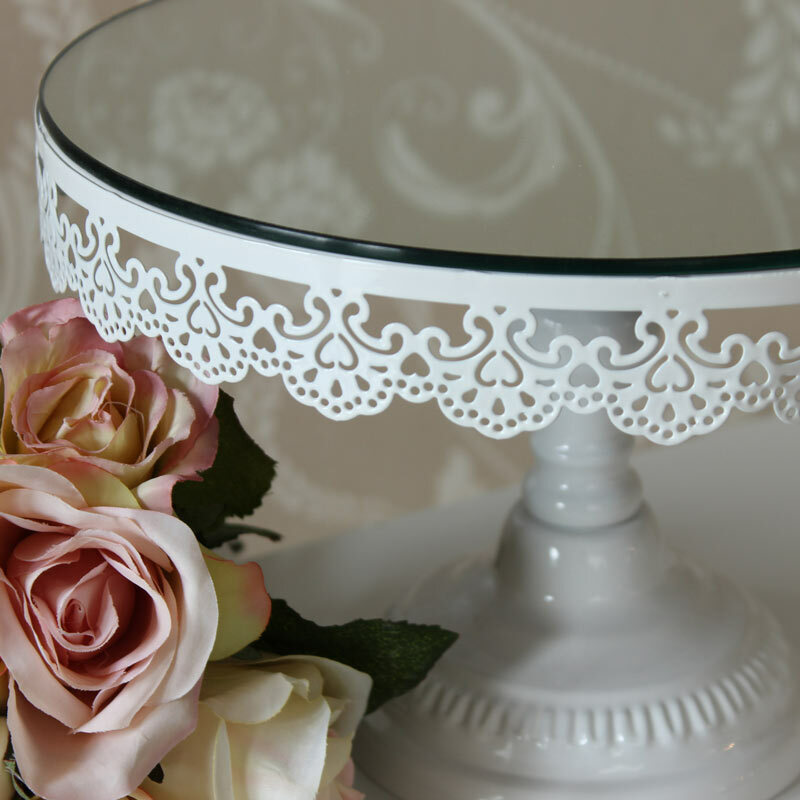 Made from metal and painted ivory, it has a mirrored top and is enhanced by delicate filigree 'lace style' edging. 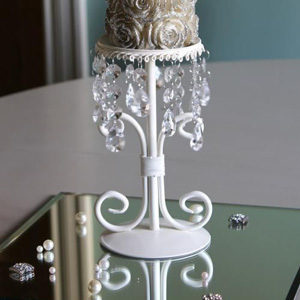 The pillar fits into a decorated base and the overall dimensions are 25 cm x 17 cm (width x height).